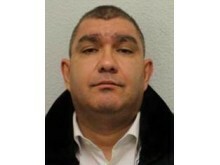 Two men have been jailed after they were caught impersonating police officers during a theft scam in central London. Marian Gheorge, 49 (24.08.69) and Florian Dumitru, 57 (03.06.61) were each sentenced to two years and four months' imprisonment for two counts of attempted theft and one count of impersonating a police officer. 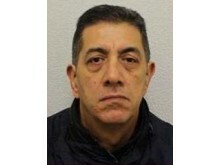 A third man, Radu Ghita, 49 (23.08.69) who was involved in the scam was sentenced to two years and eight months' imprisonment for two counts of attempted theft. All three had previously been found guilty. Acting Police Sergeant Andy Marsh, based in Westminster, said: "I believe that these men were part of an organised criminal enterprise that would primarily target tourists who had come to London for their holidays and were carrying substantial amounts of money. "The brazenness of their crimes and their willingness to target those who are away from home shows their complete disregard for other people. However, they are now beginning prison sentences and will have plenty of time to consider their actions." At approximately 08:15hrs on Tuesday, 29 January, officers in an unmarked police vehicle saw the suspects speaking with a couple on Leinster Place, W2. Due to their behaviour, the officers' suspicions were aroused and they believed that they were witnessing a robbery in progress. When the officers approached, Ghita ran away and Gheorge was seen to put something into his victim's back pocket before trying to walk away with Dumitru. All three men were detained following a short foot chase. The victims told officers that they were approached by Ghita as they attempted to gain access to the property where they were staying. He claimed to know the owner and offered to make a phone call. As he led them along Leinster Gardens, they were approached Dumitru and Gheorge, who claimed to be police officers. The bogus police officers told the tourists that they had been stopped for suspected drugs offences and were asked to produce their passports and wallets. 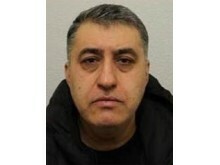 Gheorge was in the process of taking some cash when they were interrupted by the passing police officers. All three men were arrested and taken to West End Central police station and charged the same day.